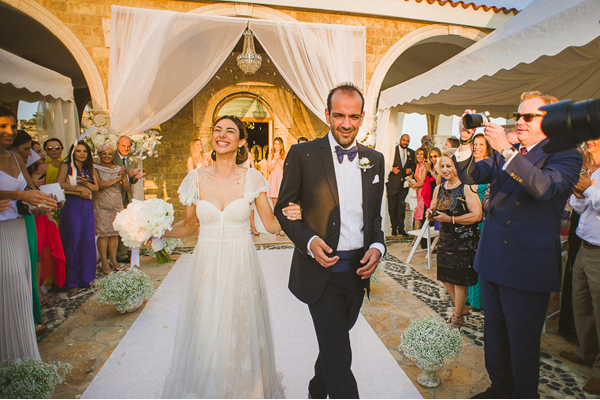 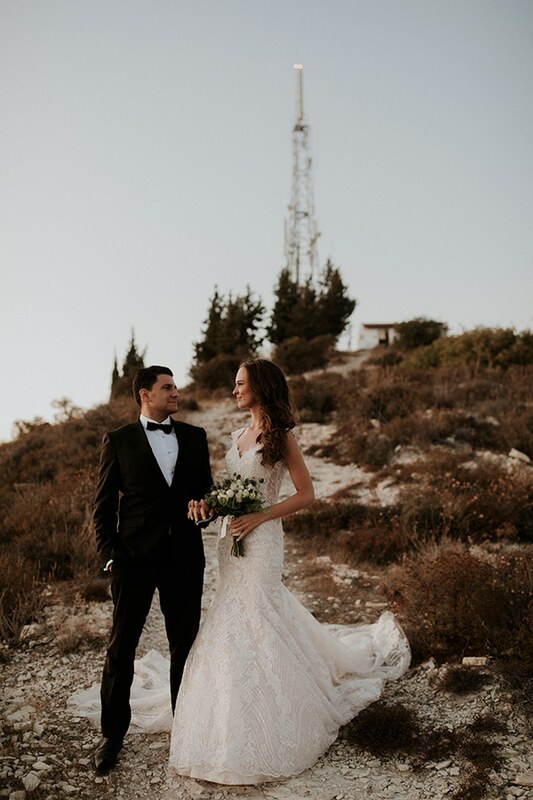 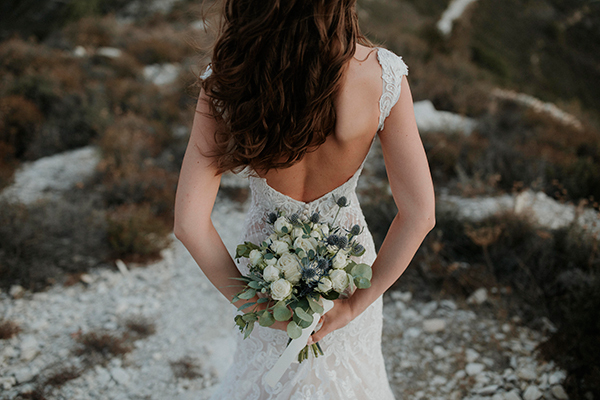 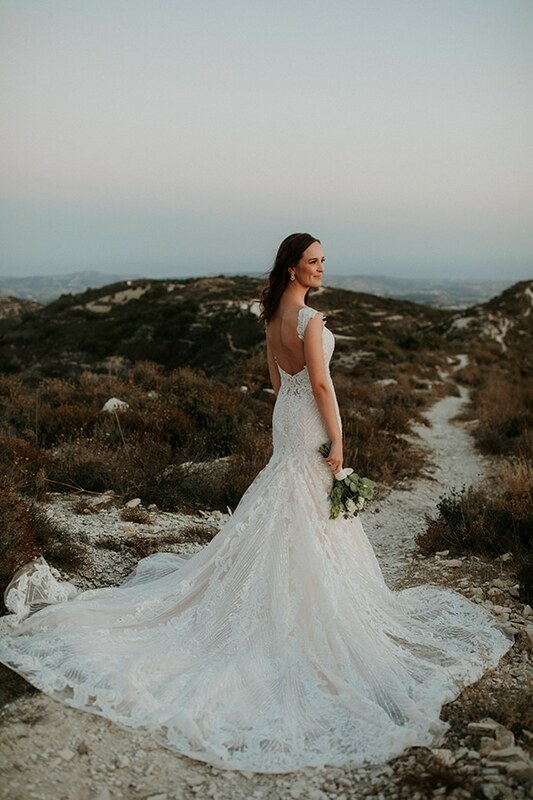 The gorgeous lovebirds of today’s wedding decided to seal their love in Tochni, one of the oldest villages of Cyprus island. 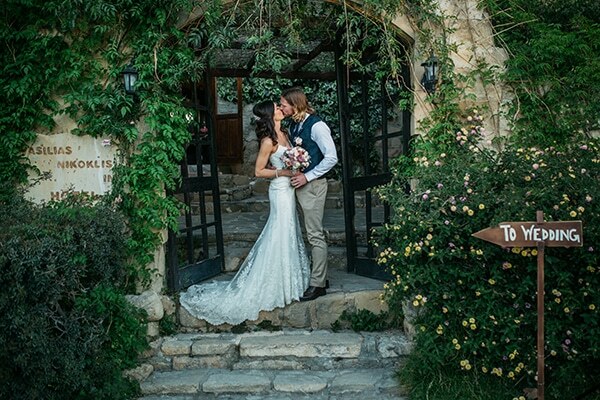 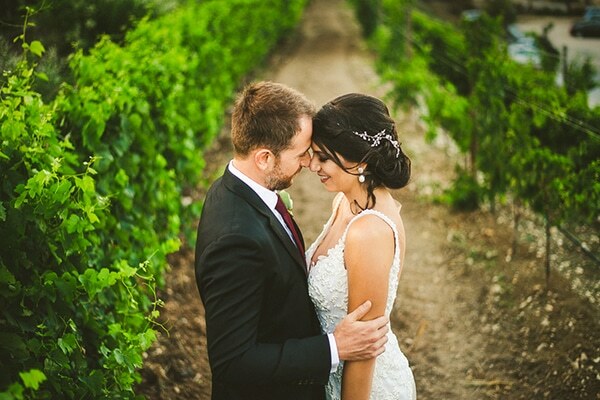 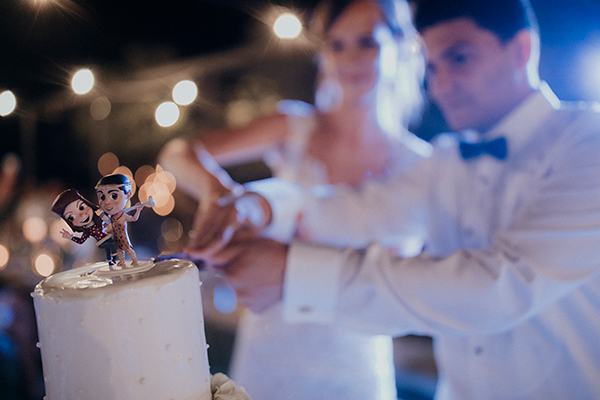 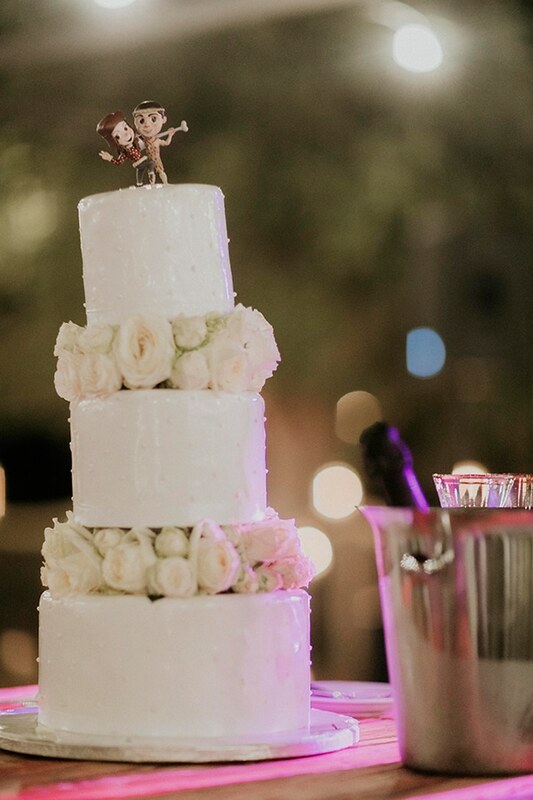 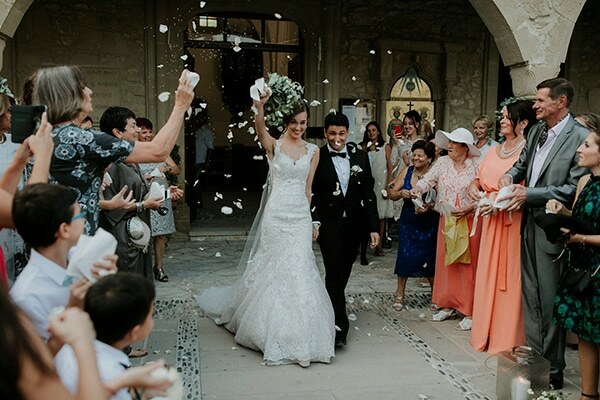 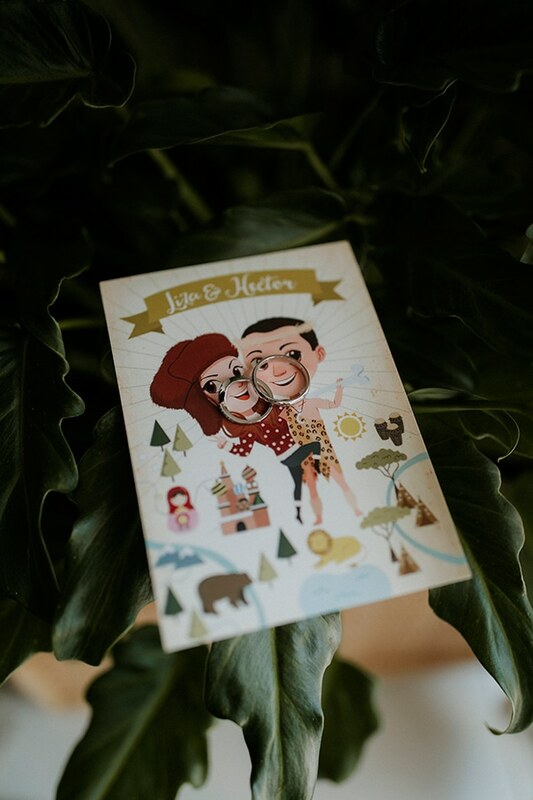 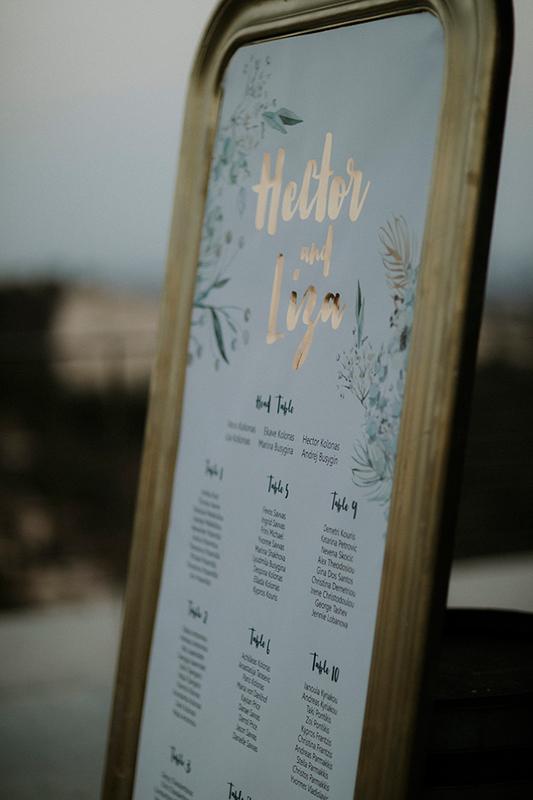 Liza and Hector dreamed of a wedding that combines elegant and rustic style together. 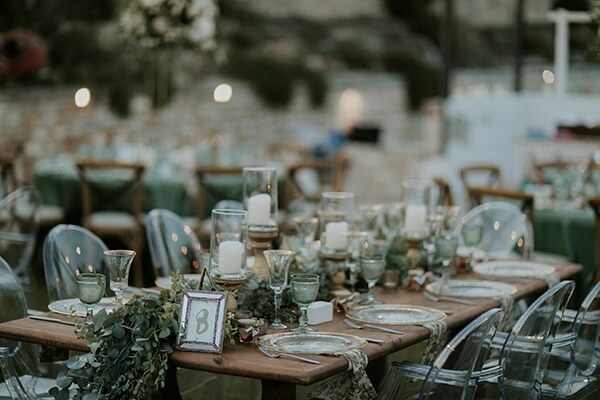 After their beautiful ceremony, the couple and their guests celebrated their love in an outdoor venue which was adorned with wooden tables, ghost chairs, greenery garlands, fresh white flowers and gorgeous gold tableware. 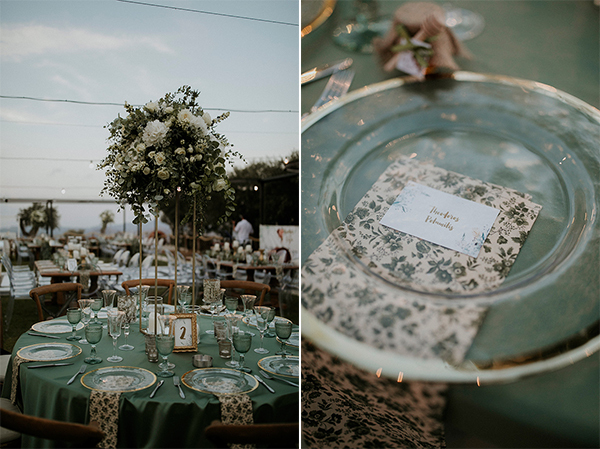 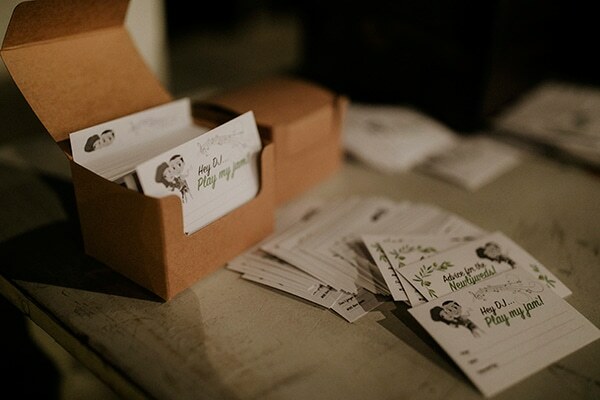 The dominant hues were white, green and brown which were the perfect choice for such a beautiful rustic chic wedding! 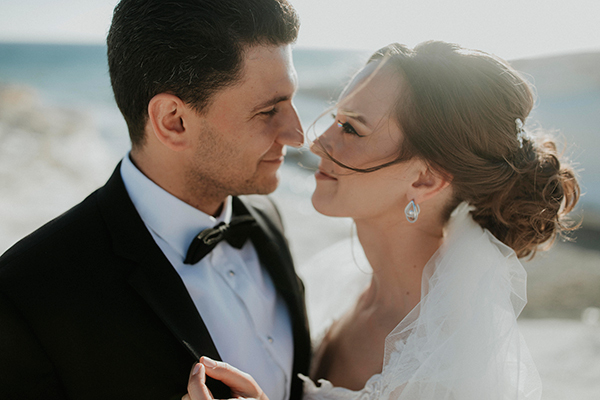 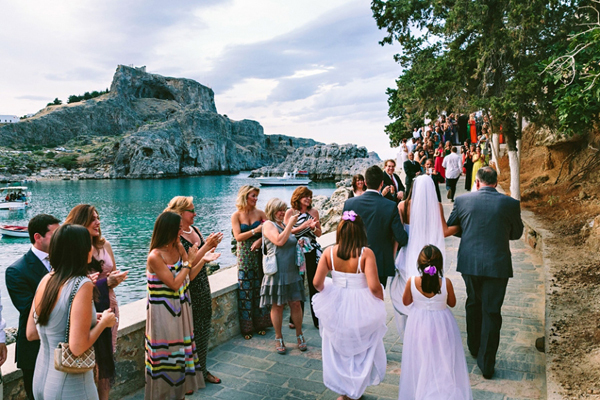 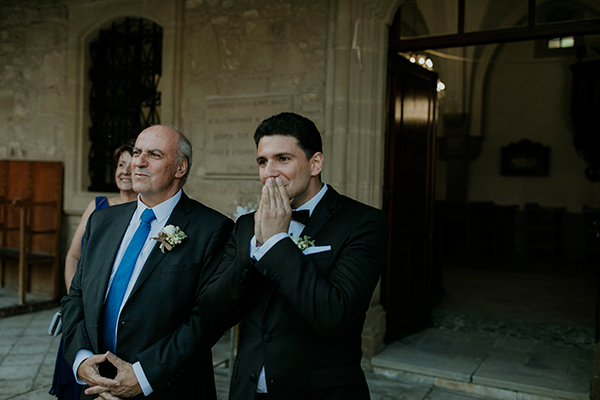 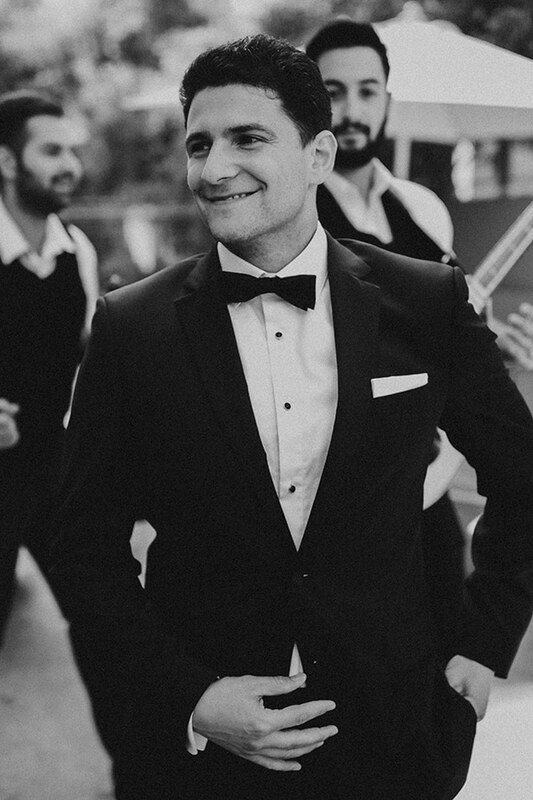 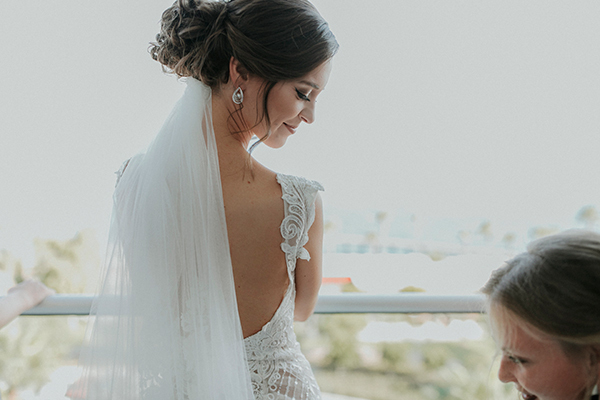 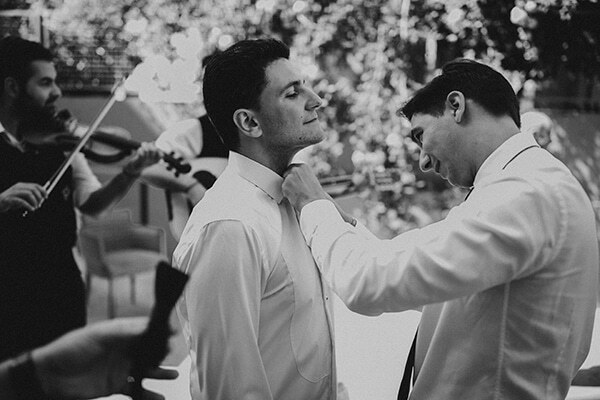 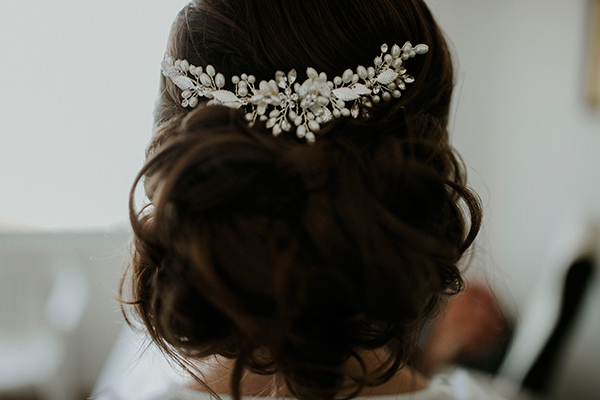 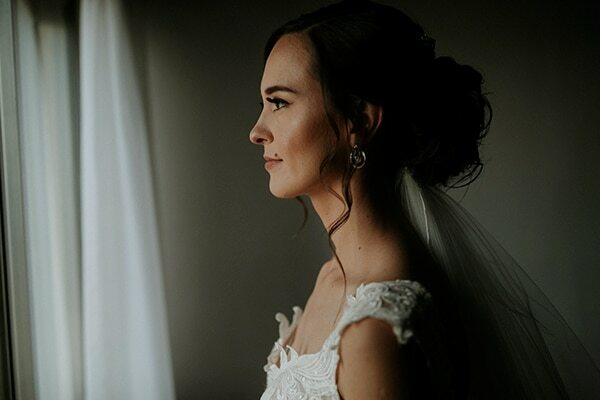 See all the details of this dreamy wedding through the following photos by Louis Gabriel Photography! 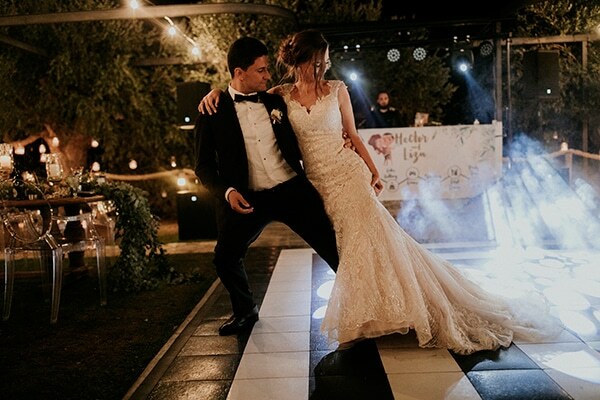 “We used a mix of round and long wooden tables to create a symmetrical floorplan that would allow our guests to mingle, move around freely and have easy access to both the dance floor and serving areas. 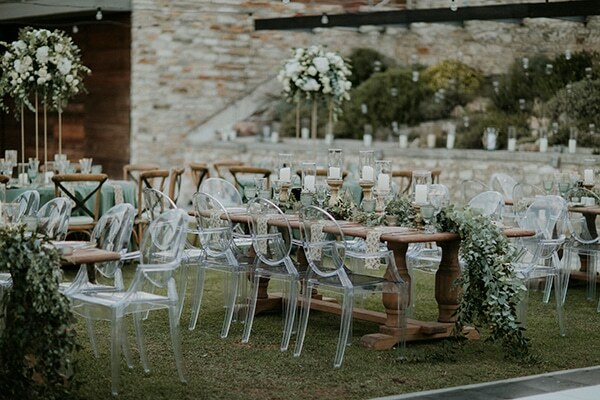 To compliment the varying tables, we also chose a combination of wooden bistro and clear Kartell chairs. 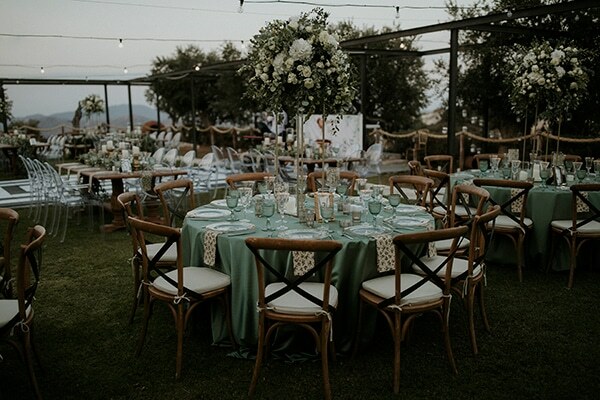 Round tables were decorated with tall white and green flower arrangements whilst the long tables had overflowing foliage garlands leading towards the dance floor. 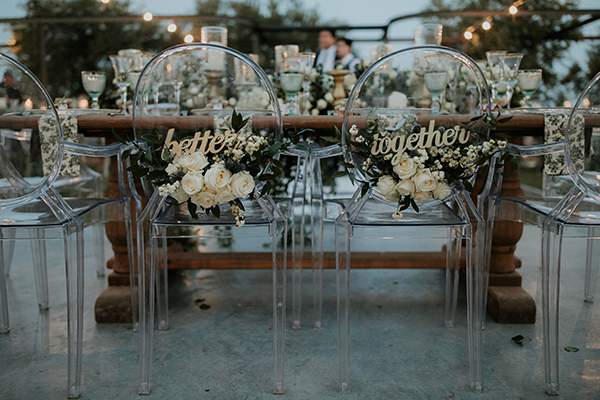 Our head table was decorated with a rich overflowing flower garland and the chairs featured a ‘better together’ cut-out. 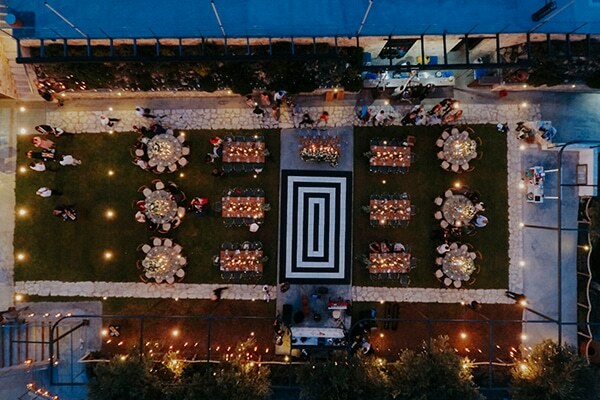 The entire venue was filled with hundreds of candles in clear, mercury and gold holders as well as tea light baubles hanging off the trees”. 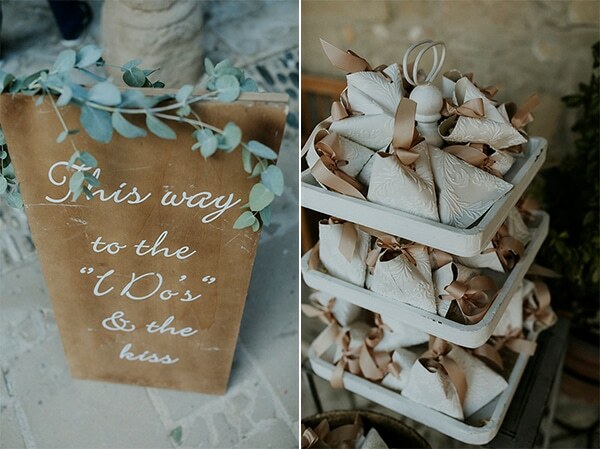 Advice to a bride-to-be: “Make it your own day and be sure to incorporate things that are important to you as a couple. 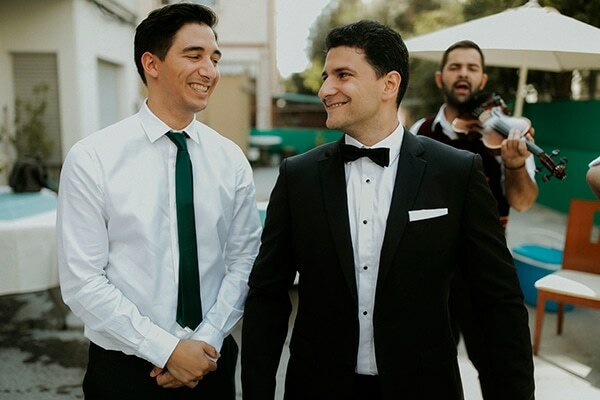 We wanted to celebrate our special day in an intimate setting with our families and closest friends, but most of our guests had never met before. 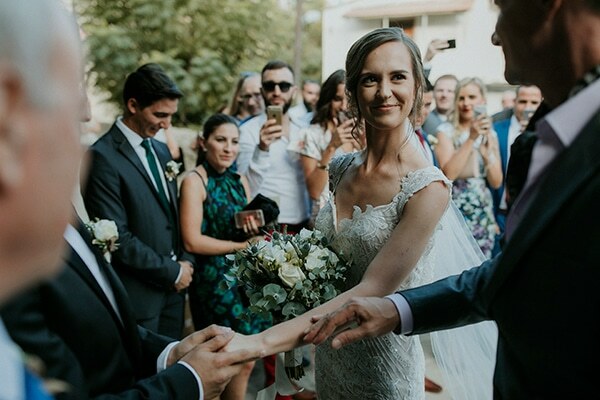 Hosting a boat party just days before the official ceremony allowed everyone to meet, mingle and overcome language barriers”.